World-renowned photographer Edward Burtynsky and internationally acclaimed poet Patrick Lane will receive honorary doctoral degrees during convocation ceremonies at UBC’s Okanagan campus this June. Lane, who grew up in Vernon, is a prolific writer with more than 27 books of poetry to his credit. He has also published a book of short stories, the novel Red Dog, Red Dog set in the Okanagan valley, and What the Stones Remember, a memoir about his battle with addiction. His latest work, The Collected Poems of Patrick Lane, includes 400 poems written during a career spanning more than 50 years. Lane, 73, will be presented with an honorary doctoral degree during the 3:30 p.m. convocation ceremony on Thursday, June 6. Burtynsky is known for his uncanny ability to photograph the gritty reality of industrial landscapes in locations from southern Ontario to Italy, Bangladesh, China and Australia. His work is housed in more than 50 major museums. The photographer’s imagery explores the link between industry and nature, combining the raw elements of mining, quarrying, manufacturing, shipping, oil production and recycling into eloquent, highly expressive visions that find beauty and humanity in the most unlikely of places. 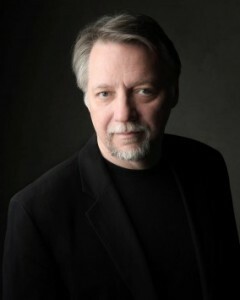 Burtynsky, 58, will receive his honorary doctoral degree at the 8:30 a.m. ceremony on Friday, June 7. The University awards honorary degrees in recognition of substantial contributions to society at the provincial, national or international levels. All convocation ceremonies take place in the gym at UBC’s Okanagan campus, 3211 Athletics Way, Kelowna. Recipients of honorary degrees at UBC’s Vancouver campus were announced in March and can be found at: www.publicaffairs.ubc.ca/2013/03/19/first-nations-advocate-and-eco-activist-among-honorary-degree-recipients. He has led writing workshops at summer schools across the country and has taught at both the University of Saskatchewan in Saskatoon and at the University of Victoria. He’s been a writer in residence at the universities of Manitoba, Alberta, Ottawa, and Toronto, and at Concordia in Montreal. When not writing poetry, he can be found working in his garden. 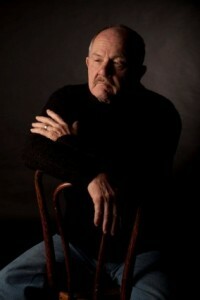 He lives on Vancouver Island with his wife Lorna Crozier, also an award-winning Canadian poet. Photographer Edward Burtynsky has won numerous awards including the Order of Canada in 2006. In 2010 he won the $20,000 Award in Contemporary Art from the Museum of Contemporary Canadian Art in Toronto. He has also received the Technology, Entertainment and Design Prize, The Outreach award at the Rencontres d’Arles summer festival of photography, The Flying Elephant Fellowship, Applied Arts Magazine book award, and the Roloff Beny Book award. Burtynsky was the subject of the internationally acclaimed, award-winning 2006 documentary film, Manufactured Landscapes. He started taking pictures as a child with a used camera and darkroom equipment his dad purchased. Born in 1955 in St. Catharine’s, Ont., a town dependent on the auto industry, Burtynsky grew up in a heavily industrial, yet picturesque part of the country. He attended Ryerson, where he earned his degree in photography, and studied graphic art at Niagara College. *This information was originally released on April 25, 2013 and can be found on UBC’s Okanagan News website.